This cult-like Thrash/Death act has a certain reputation in the underground for paradoxically being both brutally bad and good at the same time. Founded in March 1986 in Tempe, Arizona the trio had a seldom seen phenomenon, a female vocalist and bassist. 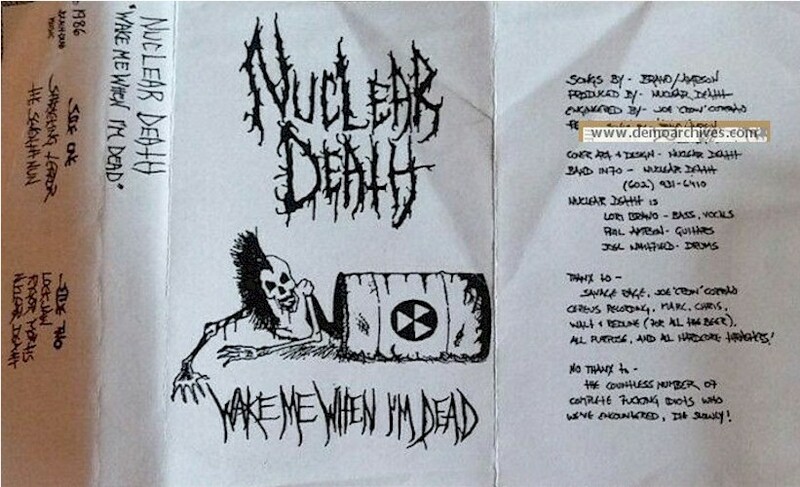 The band worked diligently in the underground and produced four demos ‘Wake Me When I’m Dead’ in 1986, ‘Welcome To The Minds Of The Morbid’ in 1987, a live ten track demo called ‘A Symphony Of Agony’ in November 1987 and finally in 1989 the session ‘Caveat’. 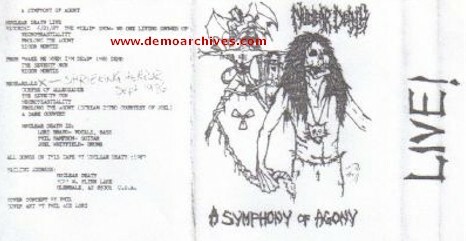 By then the band was signed to the fledgling cult underground US Metal label, Wild Rags. The debut, ‘Bride Of Insect’ appeared in 1990. Xeroxed covers and regular non studio tapes.